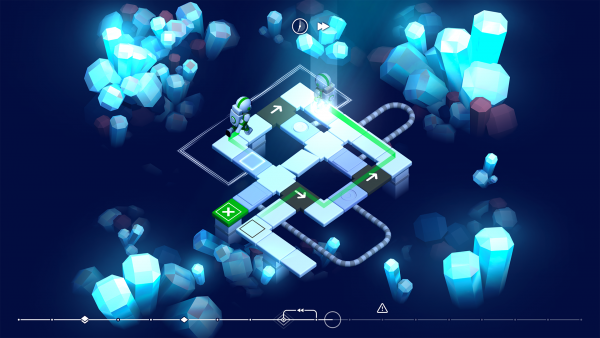 Causality ($1.99) by Loju is a puzzle game that has you manipulating time (but not space) in order to alter the sequence of events to change the final outcome. 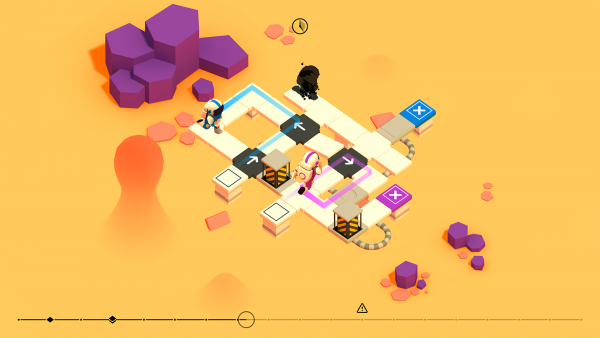 If you love mind-bending puzzle games like Splitter Critters and Mini Metro, then Causality is another fine puzzle game to add to your collection. Lately, I’ve been playing more video games than usual to drown out the soul crushing burdens of what reality has become, and honestly, it’s been working out pretty well. 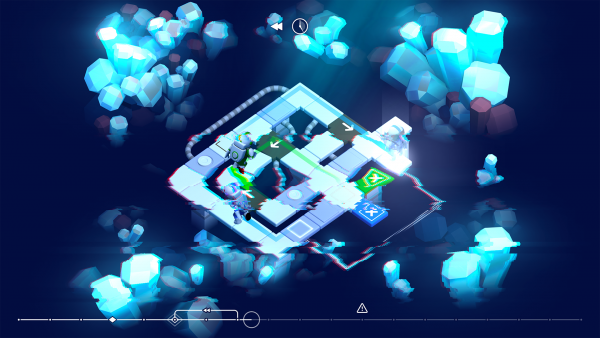 A lot of my gaming is on my PlayStation 4 these days but every now and then I like to take a break and relax with a challenging puzzle game, because they’re one of my favorite genres. Even though I want to relax, I want to keep my mind stimulated in some manner, and what better way to do this than with puzzles? 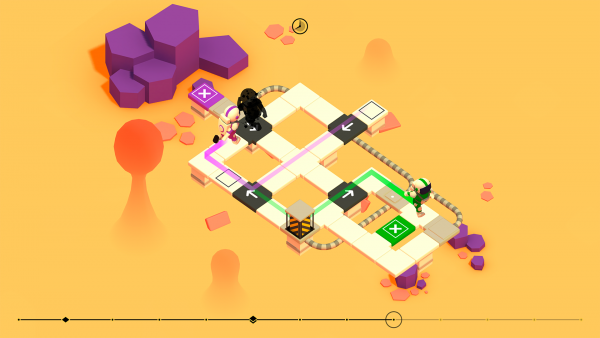 While it feels like I’ve played every kind of puzzle game there is on the App Store, every now and then something comes out that surprises me, and Causality is definitely the gem for me this week. 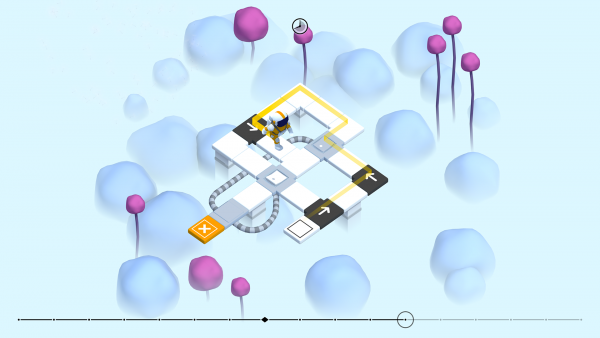 Visually speaking, Causality is downright stunning and gorgeous. 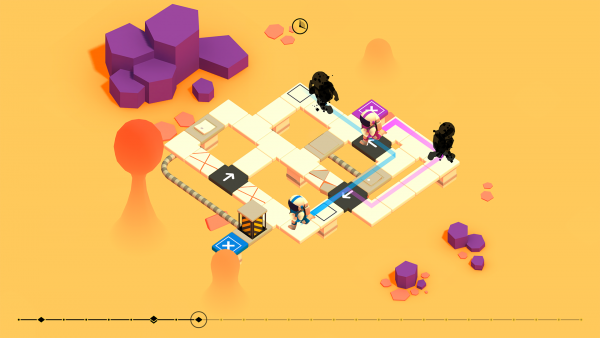 The game features a minimalistic isometric aesthetic that is reminiscent of titles like Monument Valley and Minimize. No matter what device you’re playing this game on, everything just looks fantastic and crisp on the Retina screen. 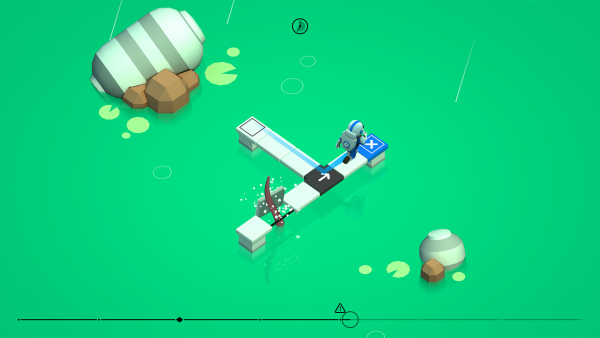 Despite the minimalism, Causality packs in plenty of fine details in the various alien environments that you’ll be playing in, and the character models for the astronauts are rendered nicely with smooth movement. Causality also uses a realistic “rewind” effect on the screen when you control time, which is fun to watch. The color palette ranges from soft pastels to brighter and more vibrant hues, and there are some lovely lighting and shadow effects that make everything pop out even more. Animations are fluid like velvet, so I experienced no lag on my iPhone 7. 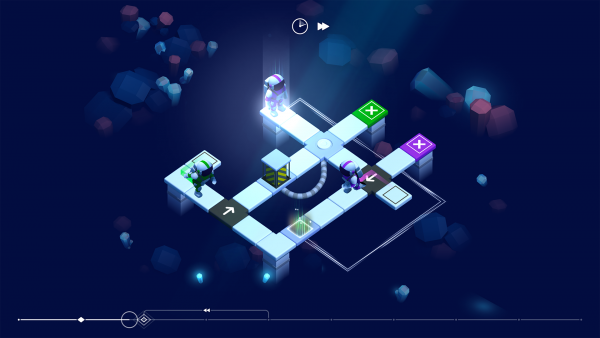 There is a soothing ambient soundtrack in the background that will help you focus on solving the puzzles, and the sound effects are delightful. It’s safe to say that Loju has done an excellent job with Causality’s visuals and audio, which I think alone make the game worth a purchase. 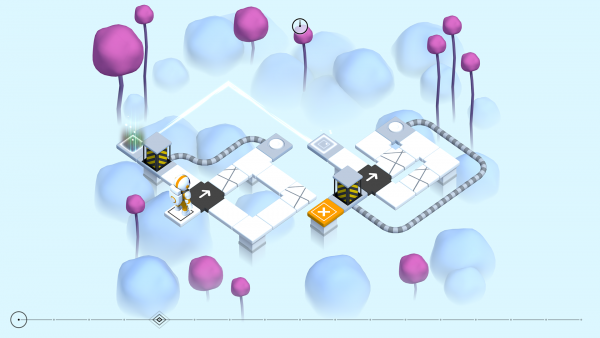 Like other puzzle games, Causality is level-based and has 60 puzzles for players to solve at the moment. These stages are split up across four different alien worlds, and even the level select screen is a sight to behold. The game does not have any stars to earn, but there is a limited time frame allotted,so keep that in mind. 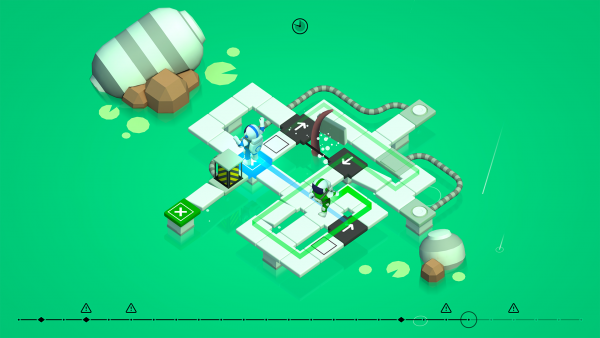 Completed stages appear in solid color on the map, whereas incomplete ones have an outline on them. Causality is also linear, as you’ll have to clear the current stage you’re on in order to gain access to the next one. 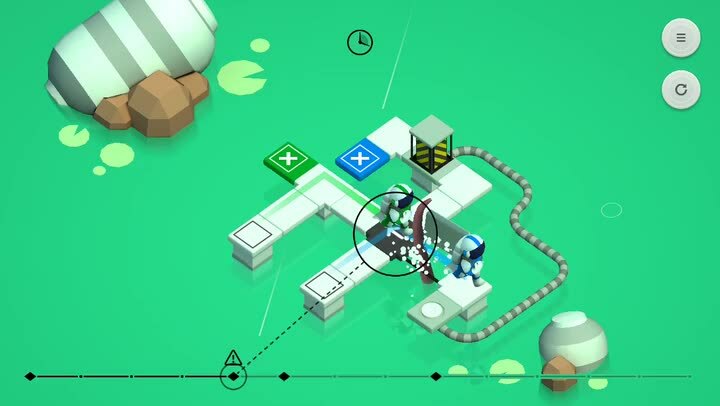 The goal is simple: guide each astronaut to the exit square that matches their color. Once they have all reached their destination within the time frame, then you solved the puzzle. But time is complicated — you’ll need to work with your past selves and even deal with time paradoxes in order to reach your destination, and there are deadly aliens and other hazardous objects that stand in your way. 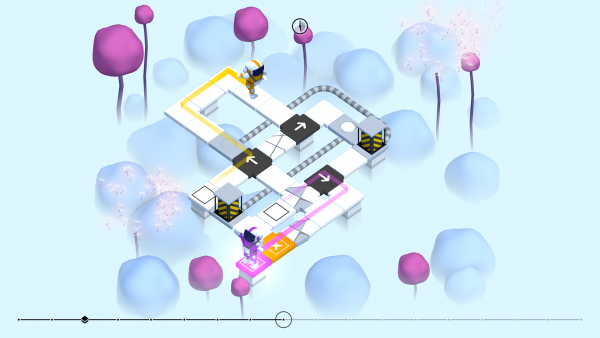 The controls in Causality are pretty straightforward and easy to understand. 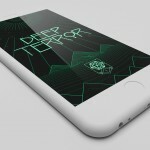 To make time move forward, just drag your finger down on the left hand side of the screen. To reverse time, drag upwards. Along the bottom of the screen is a line that represents the time frame for the stage, and upcoming hazards are indicated with an exclamation mark above the line at a certain point. The outlined circle shows you your progress when time is moving forward or backward. 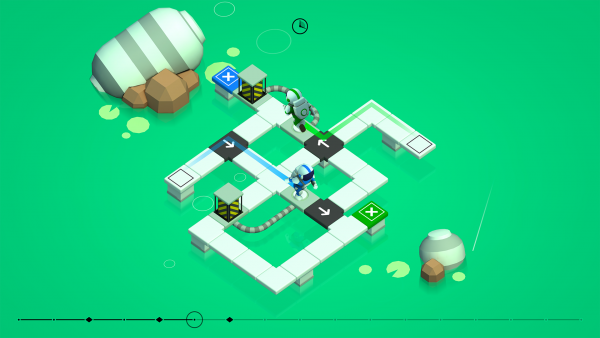 On each stage, you’ll find various obstacles along the square tile grids. These dangers include tiles that change your astronaut’s movement direction, dangerous alien tentacles that will break through loose floor tiles, electric boxes that need to be disabled by floor switches, and more. 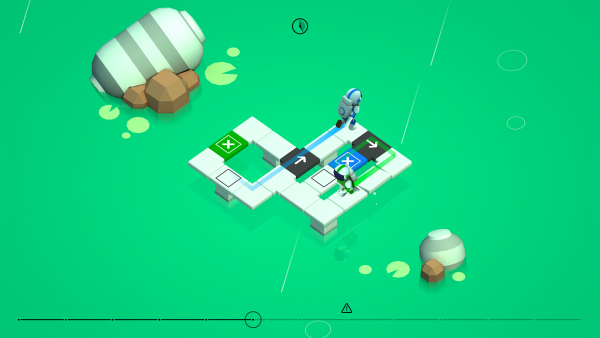 The tiles with arrows on them can be tapped on to change the direction they’ll be facing, which in turn alters the path of your astronauts who come across it. The key is to switch these tiles around while you’re in the middle of the time frame, because sometimes that’s the only way to solve the puzzle. That’s just one of the many challenges that await in the unique puzzles of Causality, and I’m absolutely loving it. Since there are no movement limits or stars to earn in Causality, and just a time frame to worry about, it’s easy to rewind and undo a mistake you made. 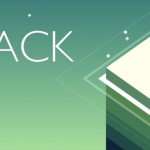 But if you prefer to restart from the beginning and try again, there is a restart button in the top right that lets you quickly restart the stage. The button above the restart option lets you access the game’s menu. And for those who like to strive for something in a game, there are 13 achievements available to unlock. 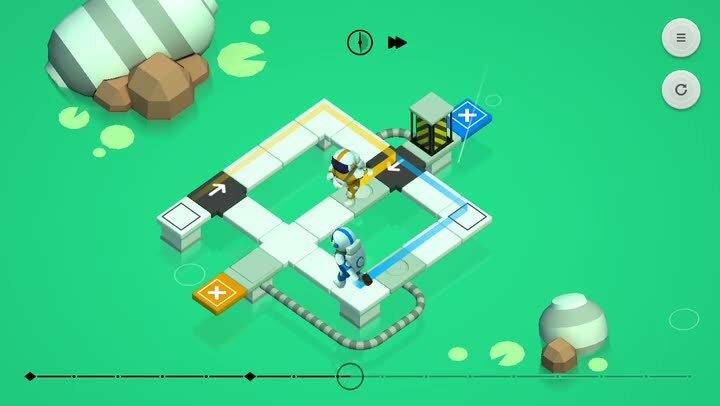 I’m still in the early stages of Causality, but this is certainly one of the most unique puzzle games I’ve found on the App Store. 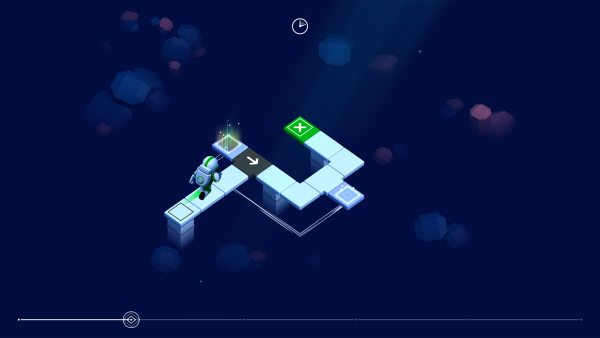 The game has a beautiful aesthetic that is calming, the music and sounds are pure bliss, and the controls are intuitive and responsive, indicating that this was a game that was optimized for touch screens. 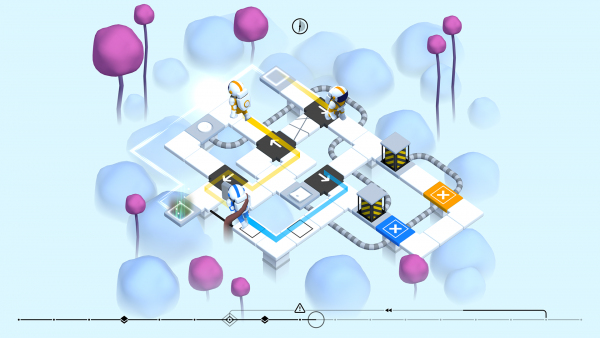 The puzzles themselves start off easy enough, but then things gradually pick up and become intricate and challenging. It’s just a perfect treat for puzzle lovers. 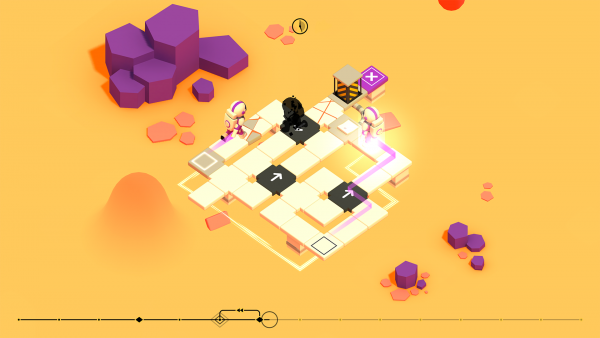 I highly recommend checking out Causality this week if you’re in the mood for a truly special puzzle game. 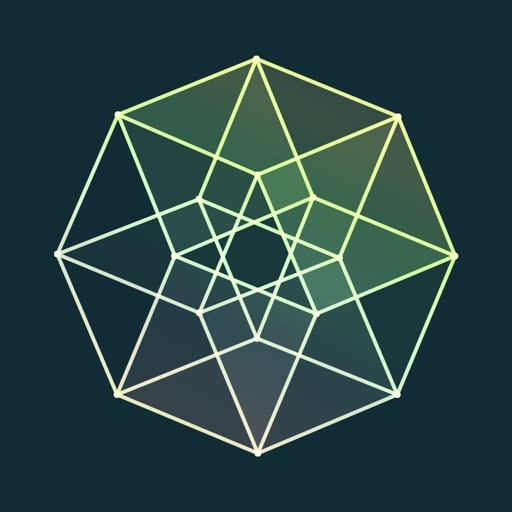 You can find Causality on the App Store as a universal download for your iPhone and iPad for $1.99. There are no in-app purchases.